That’s Biz has a variety of services and Solutions-To-Go to help you digitally market your business. Our focus in today’s blog will be to help you build awareness for your restaurant. While you may not think building awareness is that difficult — word of mouth is the best way to market — it can be tough to target your desired demographic. We’ll break down the services and products we offer to help you build more awareness for your restaurant. For more information about building restaurant awareness, contact us today. While we have many services at That’s Biz, these are some that will help you build awareness for your restaurant. In addition to these three services, we also offer Guest WiFi and Mobile Coupons. Advertising for restaurants can be difficult, but when you choose That’s Biz, we’ll provide you with the tools and knowledge to ensure your business flourishes. Advertising for restaurants comes down to how well you get the word out about your unique business. Email marketing is a great way to spread awareness because you can specifically target your audience based on their interests, Facebook ads, and remarket to the customers on Google and Facebook. We have a few different email campaign services that you can choose from. Text message marketing will allow you to create short URLs and send messages to multiple locations. We have a few different text message marketing services that will help you build your awareness. What’s great about our text message marketing is that it’ll reach 90 to 95 percent of subscribers in the first 15 minutes. Additionally, it’s an effective method of advertising for restaurants because of the large audience you’re able to reach as well as the images you can send out of your food. Digital postcards and flyers will reach more people because they are delivered during times and days that make the most sense. What’s great about these two methods for advertising for your restaurant is the impression they make on your target audience to help build restaurant awareness. Not only will you save a lot of money, but you’ll also be able to digitally track your audience and understand what they’re looking for based on their interests. In addition to services, we also have an assortment of products that are great for building up awareness. We can help you target new customers and develop a trifecta for success. 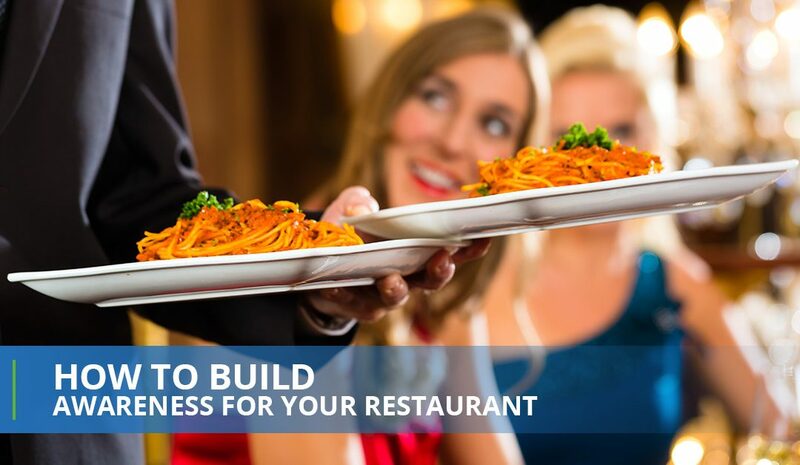 Below are just some of the products you can take advantage of to build your restaurant. New Customers are essential to any restaurant because it helps you grow. When you draw in more customers with our product, you can reach multiple locations for a great cost. We’ll help you develop email lists as well as track online ordering. Spreading local awareness can be completed when you take advantage of this product. While we know you probably don’t want to discount anything, we created this product to help you understand how much to spend on ads and reach many different locations. The Trifecta product is a great way to spread the word about your business and build awareness. You’ll be able to pick higher ad spends as well as only spend a one-time fee for the setup. What’s even better is we’ll help you figure out what the best ad spending method is for your restaurant. Building restaurant awareness takes time and patience, but when you work with a company that’s known to help with advertising for restaurants, you’ll be prepared.